Chelsea Reardon literally crashed into future boyfriend Phillip Spaulding in 1986. Returning to town with her boyfriend Jean-Claude, Chelsea and Jean-Claude hit Phillip's car with their own when Phillip was driving two teenagers home from a party. 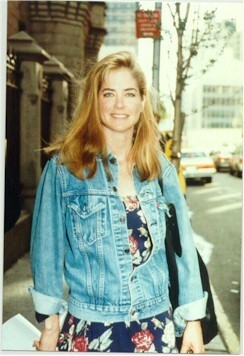 Portrayed by Kassie DePaiva, Chelsea was one of those rewriting of history characters. She was an addition to the Reardon clan, the youngest daughter of Bea Reardon. Chelsea was a singer and was returning to Springfield ostensibly to visit her family. Jean-Claude died due to crash-related injuries, and Chelsea sued Rick Bauer for malpractice. Phillip talked her out of it, however, and it was the beginning of a troubled relationship. In addition to singing at local clubs around town, Chelsea became Phillip's assistant and developed a huge crush on him which he didn't return for a long time. Jackson, seeing both Chelsea's singing talent and beauty, became her business manager and began to vy with Phillip for her affection. When Chelsea realized that they were fighting an old rivalry for Beth rather than a rivalry for her, she lost interest in both men. Phillip wrote her a letter telling her his true feelings for her, but of course Jackson intercepted it. Their relationship was doomed from the start, but they were together for a little while. Meanwhile, Johnny Bauer was fighting cancer and his girlfriend Roxie cracked under the pressure and went crazy. Ironically Johnny went into remission as Roxie was institutionalized, leaving him lonely. Holly Reardon, who had a crush on Johnny, gave him his own tv show, but he followed his parents' advice and pursued Chelsea. They had a wonderful and very popular love affair, moving in together and planning their life. Trouble began when one of Johnny's "fans" started sending Chelsea threatening messages. Chelsea and Johnny tried to ignore the threats and get on with their life, but we all know that's not possible in Springfield. At their wedding, Chelsea collapsed. She'd been poisoned by the stalker. A series of clues led to Dana, Frank Cooper's girlfriend, and she was eventually arrested. This ruined Frank's relationship with Dana, and got Dana killed. Out on bail, Dana figured out that Chelsea's old roommate Rae was the real stalker, but before she got to the authorities Rae got to her and hurt her badly enough to land her in the hospital. When Dana woke up in the hospital she saw Rae at her bedside, and it shocked her so badly that she died. Rae continued to terrorize Chelsea for a little while longer, but just as she was about to shoot Chelsea Johnny, Rick, and Frank found them and stopped her. She went to jail, and the reason she was stalking Chelsea was revealed -- she blamed her old roommate for her brother's mental condition because Chelsea never returned her brother's affections. Her brother went crazy and landed in an institution, then killed himself. Rae was seeking revenge when she tried to kill Chelsea. After Rae was gone, Chelsea and Johnny went on with their wedding plans, only to find out that Johnny's true love Roxie was making progress in her psychiatric treatment in Chicago. Realizing that Johnny was still in love with Roxie, she broke off the engagement and he left for Chicago to be with Roxie. Not long after she left for Europe to focus on her singing career, and that ended Chelsea's sunny presence in Springfield. 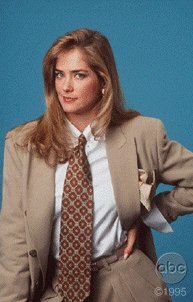 Currently Kassie DePaiva is on One Life To Live, where she portrays Blair Manning.